us and we were caught before we knew it. as if I can understand but I don’t and we all laugh. In all that is true. 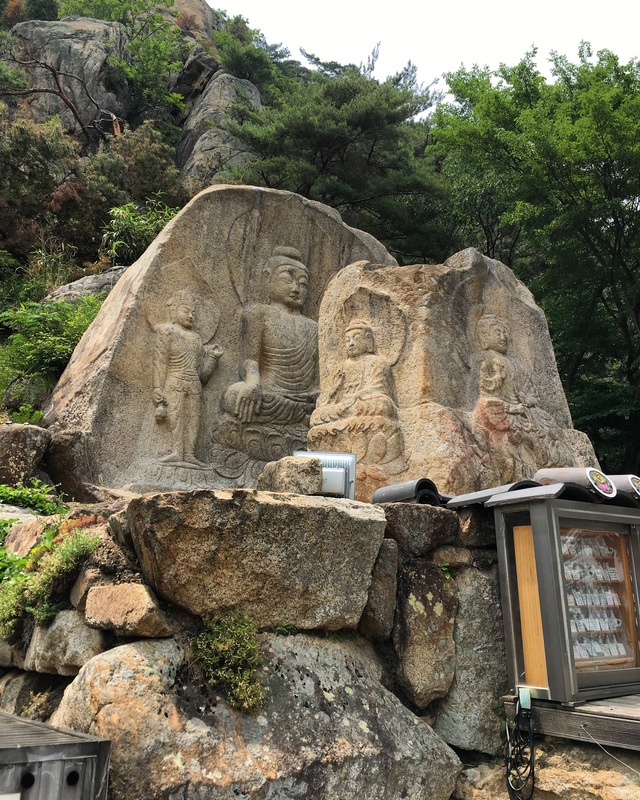 This is Chilbulam Temple where a young monk and four wonderful lay women bequeathed us lunch during our hike up Namsan Mountain, in Gyeongju, South Korea. I can tell you’re besotted. There’s something hauntingly beautiful about this. A sense of peace, contentment and wonder, the beauty of simplicity. It’ll mean different things to different people. I can feel a real tug on my heart. Lately I’ve wondered how much better my life would be if only I could discipline myself to knuckle down, sort through a lot of “stuff”, and truly realise the benefits of “Less is More”. Its the middle of winter here and cold outside of the few rooms that we use all the time. Can I make a start tomorrow and tough it out despite the cold? Thanks for your writing! Feel free to delete my musings Dami, its been a big help simply to write them down. Perhaps concrete thoughts will lead to concrete action! I treasure your response and I marvelled at the idea of clearing out the inner cupboard – what a wonderful thought! We’ll do our best to stay cosy and I hope your back is much better. I know what a bad back can be like as I wrecked mine for a while a couple of years ago – fortunately it came right again – it was a lesson to me. Take care!